A look at the album ‘Citizen of Glass’ by Agnes Obel. Modern music is terrible. With the focus having switched from quality to quantity, we’re bedding down quite firmly in an age where it is quite normal for a band or an ‘artist’ to punch out an album every year. And that album will invariably have at least five singles on it to keep it in the charts for as long as possible and keep driving sales. I’d love to roll the clock back a couple of decades to the time when two songs becoming singles from an album was considered extravagant and unnecessary. And with the focus on producing as much as possible, as quickly as possible and with the most marketing that is possible, real quality, thought and artistic expression are put to one side, for these are things that require time and consideration. If, like me, you agree about the above sentiments, may I introduce you to Agnes Obel? A talent from Denmark who has just released her third studio album. For those of you unfamiliar with her works, here’s a quick catch up. She debuted in 2010 with her album ‘Philharmonics’. Her piano melodies and soft, ethereal vocals gave the collection of songs a magical quality that worked either as a primary sound source or as background music. It was a spectacular and groundbreaking sound from an artist who was equally so. Her follow-up came in 2013, though she had been working on ‘Avantime’ straight off the back of the success of her first release. It marked an interesting change in the sound of her songs, still unmistakably Agnes Obel, but somehow with an almost indescribable edge that made the songs feel slightly more weighted. And now, 2016, album number three. ‘Citizen of Glass’ is yet another evolution of Obel’s sound where she takes all the things we loved about ‘Avantime’ and then runs it through the photocopier with the settings set to high-gloss and 120% size. Through just ten-tracks, she takes us on a fascinating journey of sounds and melodies that challenge you in both good and bad ways. This opener full of the atmosphere from Avantime with its strong bass and light percussion but adds a strong string element that is as fascinating as it is shocking. It might be stark and unusual, but it works amazingly. And with Agnes’ soft voice alongside them, there’s a juxtaposition of sounds that draws you in. My only complaint is that the chorus feels a bit forced. It’s almost reminiscent of listening to David Essex trying to go up sixteen-octaves for the chorus of Jeff Wayne’s ‘Brave New World’. Ouch! Truly a stand-out moment on both the album and Agnes’ career. It fascinates me how people can makes pianos work so differently. Ludovico Einaudi makes warm, soft melodies. Lucy Schwartz makes great piano indie-pop. Obel has a stark, desolate, metallic sound that generates enough atmosphere to make the moon habitable. She even modifies her voice for parts of the song which is again, unusual but powerful and intriguing. A short instrumental piece with an interesting sense of urgency. A driving bass line with simple percussion and a driving melody courtesy of some strings. The kind of music that would fit well as a backing track in a light action scene from an obscure, indie film. The warmest and most inviting sound Obel’s piano has made and it still feels stark and remote. But I mean this in a nice way. The soft reverb on the vocals, the sliding long notes and the small flurries of sound that ebb and flow make it feel solemn but light in one go. The chorus section is another weak point with the repeated words sounding more and more absurd and unnecessary every time you hear it. This is brief and forgivable. This feels a little lazy to me. The vocals are a bit after-thoughtish, as if she had to desperately find something to put over the nice harp motifs that had been laid down and this was the best she could come up with when she had to phone them in. Wowzers. The opener on this one is astounding. That piano and string is spine-tingling. And then Obel starts singing and she undoes all that brilliance. This saddens me. She’s not a bad singer, but as is appearing to be a bit of a recurring theme on this album, the vocals seems to have been added in afterwards and not fully thought through. Had this been another of her instrumentals, it would have been far, far stronger. This is a little more traditional-Agnes. Not as strong as ‘Familiar’ or ‘Curse’ from her previous album, but still a little more like the Agnes we know and love. Has a highly unsettling balance though with a massively powerful bass-note that drives to a crescendo and will certainly trouble your woofer if you haven’t got it calibrated just so. This is probably deliberate and is not a mark against the track by any means. Just a warning. Another mixed bag of a song but definitely one of the better of the bunch. the vocals fit a lot better than previous songs… At least for the first half. She seems to develop a case of the hiccups at one point which is distracting but as with some of the other sins on this collection, it is short lived. Perhaps she had something specific in mind for this piece. Perhaps a Danish film crew needed something for a nature documentary and she like it enough to put it in her album. Maybe she was jacked up on caffeine and had had a rough nights sleep. This one is bonkers-mad and not in a particularly good way. It’s chaotic, it’s bouncy, it’s clumsy. Maybe these traits transfer nicely to grasshoppers but it doesn’t necessarily transfer well to music. While the album is a rollercoaster ride, it finishes strong. As the closing statement to her musical essay, it has to be powerful and leave you with something to take away. Once the song finishes, we feel satisfied that we’ve had our fill. We would always like more, but it’s a pleasant and fulfilling place to end and feels very much like a soft, gentle landing after a bumpy and turbulent flight. As albums go, I personally think ‘Avantime’ is a stronger piece of work. This collection has its strong points but there are a few too many clunkers to make it gel for me as much as I hoped it would. When she’s good, she’s mind-altering good. When she’s bad, it’s as awkward as a giggling fit at a funeral. 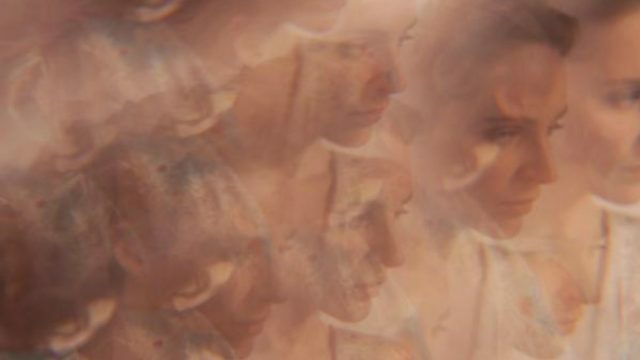 But one thing is for sure, clumsy though they may be, they are true to the sound of Agnes Obel and she is expressing herself in an artful and considered manner instead of conforming to the music-by-numbers approach so often seen everywhere else. She really is a citizen of pure-class… Check her out! A reason why you should hear it: Fascinating, other-worldly sound that is unique and captivating and will leave you feeling enchanted and mellowed. A reason why you shouldn’t hear it: You’re not feeling brave enough to ride the Agnes-coaster and instead will spend the next ‘7 Years’ listening to ‘Cheap Thrills’ and dreaming of a ‘Lush Life’… See what I did there? Never mind. Previous: Chin-Up, America… It could be worse.